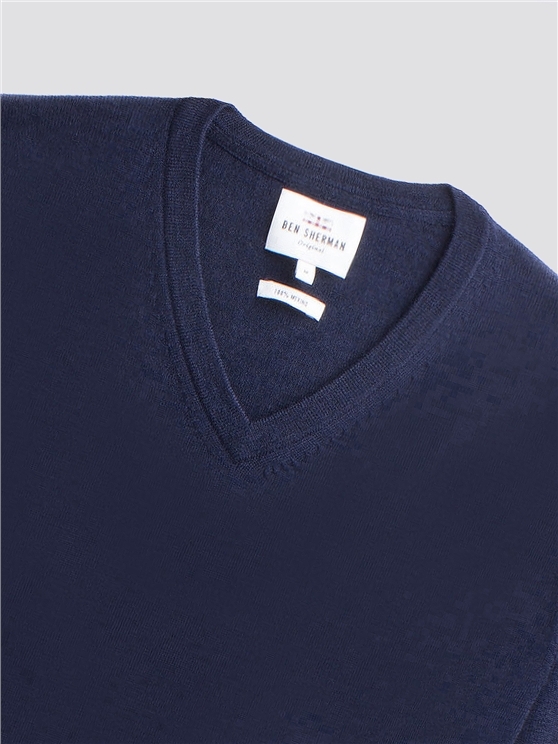 A classic men's V neck jumper - Ben Sherman style. 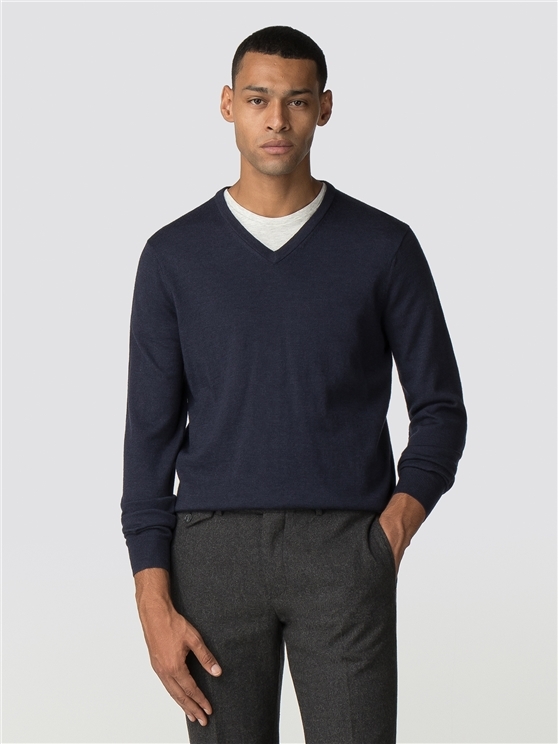 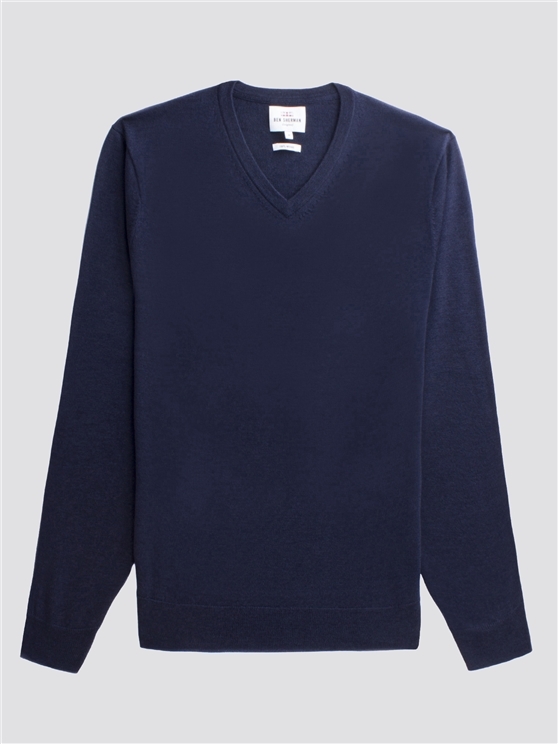 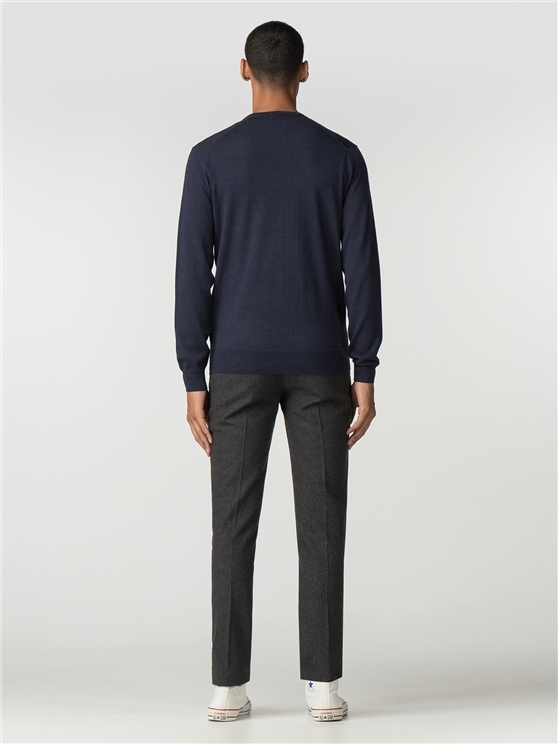 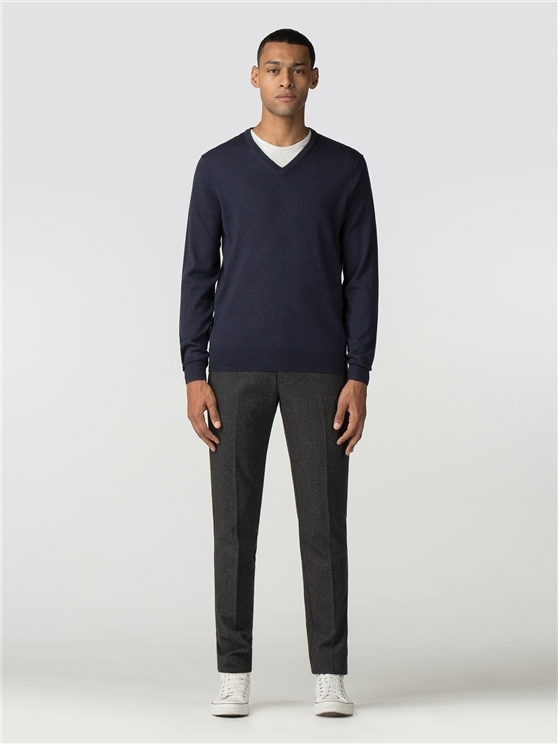 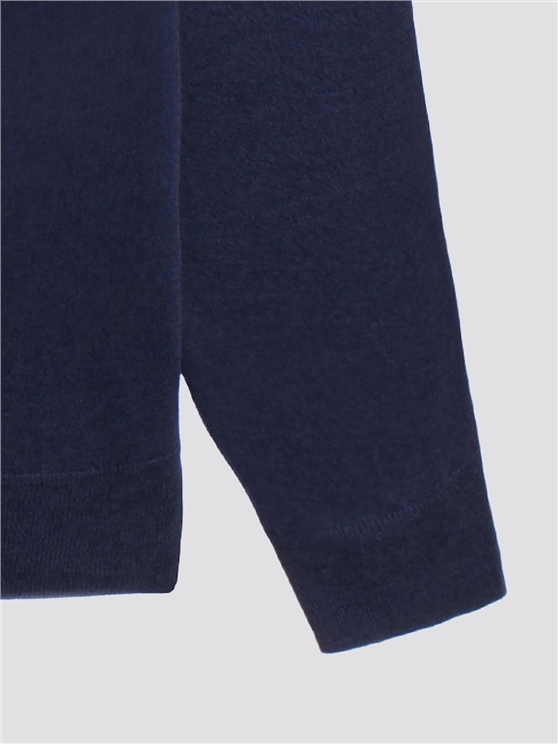 This men's navy blue wool jumper features a traditional v neck jumper design in soft merino wool. 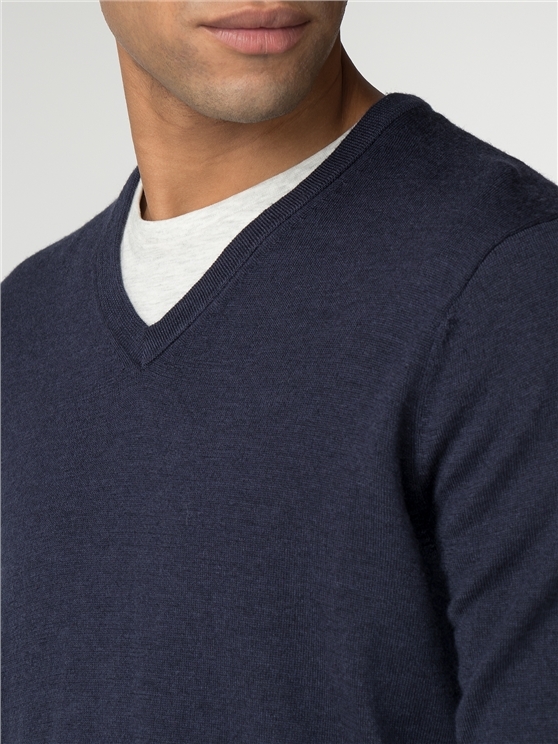 With a comfortable regular fit and the iconic Ben Sherman branding, this stylish blue jumper is a perfect accessory for the true original and the ideal all-season knitwear for men.